Loosen the axle nut while the vehicle is still on the ground. Do not reuse the old nut. Never use an impact gun on the axle nut. To avoid damage to components, be sure to use the proper specialized pullers to remove the CV joint, hub and knuckle from the bearing. Inspect all components for signs of fatigue or damage. 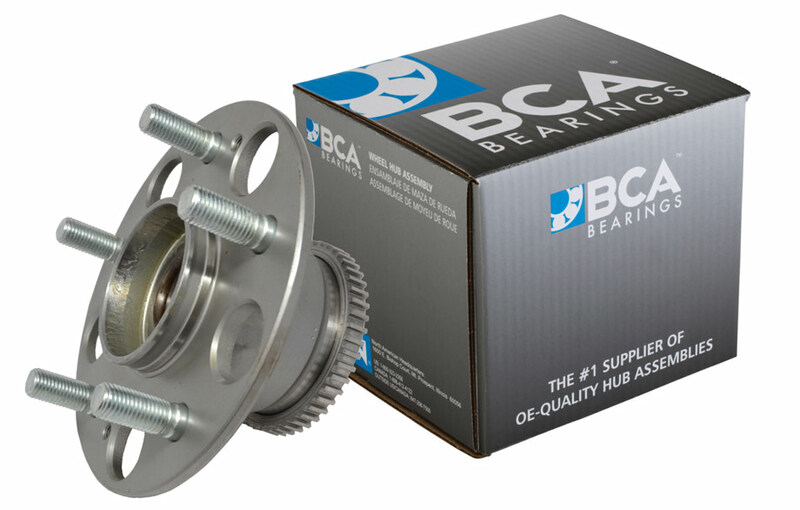 Check bearing mounting bore for distortion or out-of-roundness. Any irregularities will improperly load the bearing and cause premature failure, so replace if in doubt. Clean the bearing area in the knuckle and hub to facilitate smooth insertion. A light coating of lubricant can be applied to the knuckle cavity and hub to ease installation and inhibit corrosion. On older or higher mileage vehicles, consider installing a new CV joint boot as a good preventive measure. Manufacturer’s recommend replacement after 60,000 miles. Lightly lubricate and then carefully align the splines of the CV shaft with the splines of the hub to prevent damage. Using the proper tool, pull the axle yolk into the hub. Install a new axle nut, using the specific torque nut for that application. With the vehicle on the ground, do the final torqueing to the OEM specifications.